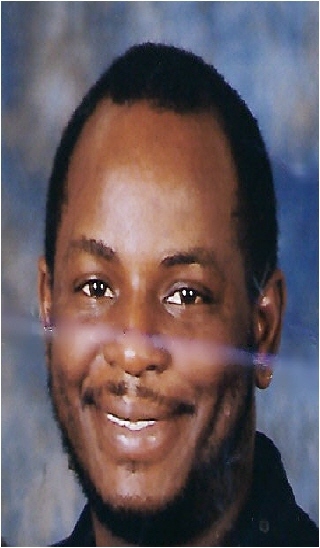 Mark was baptized at an early age and was a member of New Salem Missionary Baptist Church under the pastorate of Rv. Damon Frazier, in Portageville Missouri. He graduated from Portageville High School. Upon gradutation he joined the military and became a prud member of the Army and the Missouri National Guard. He later moved to Kansas City, Missouri, where he then became a member of Sunlight Missionary Baptist Church under the leadership of Rev. Julius Rambo. Mark worked for the city of Kansas City, Missouri for more than fifteen (15) years. He retired in 2005. Mark was a proud 32o Mason. During the year 2005-06, he held office of Worshipful Master of John Turner Lodge #106, which later merged with Blue Valley #64, becomming Cole-Finch Lodge #186, of the second masonic district of the Missouri Jurisdiction. Mark, was preceded in death by both parents, a brother Sgt. Orlando Kershaw, a sister Ms. Roberta Kershaw and a step-son Mr. Malon L. Osborne. He leaves to cherish his memories his loving wife of 31 years Mrs. Esther Kershaw; his daughter Marquita both of the home; two sisters Ms. Jeannie Williams of California and Ms. Rose Kershaw of Kansas City, MO. ; five brothers Mr. Julius Kershaw of New Mexico, Mr Eugene Kershaw of St. Louis, MO. ; Mr. Raymond Kershaw of Portageville, MO., Mr. Zachory Kershaw and Mr. Henry Kershaw both of Kansas City, MO. He was a proud grandfather of (9) nine and a great grandfather of (5) five. He also leaves to cherish his memory a host of nephews, great nephews, nieces, uncles, aunts, cousins and firends. Special friends Mr. William “Bill” Baker, Mr. George Forte, Mr. Alvin Kirby and Mr. Malcolm Morris. Mark had a heart of gold. we will truly miss you. We love you but GOD loved you most .